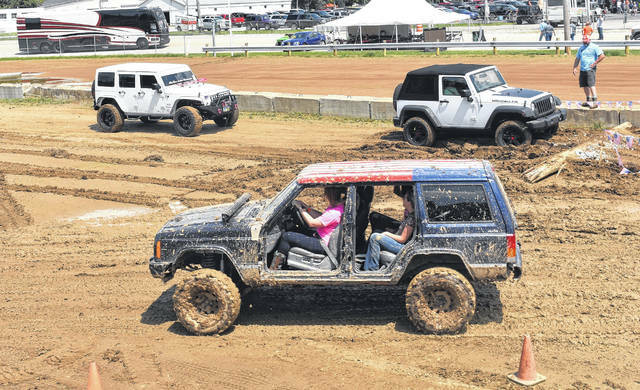 Jeep drivers from near and far gave their vehicles a new coat of mud as they tried out the Jeep Jam’s obstacle course at the Clinton County Fairgrounds on Saturday. The night ended with Southern sounds of Moccasin Creek followed by Molly Hatchet. WILMINGTON — The Jeep Jam held Saturday and Sunday was deemed a great success in its first year at the fairgrounds, according to Clinton County Convention & Visitors Bureau Executive Director Susan Valentine-Scott. “It was a great event, and we want to grow it from here,” Valentine-Scott said. “It’s more than just a club event; it’s a family event and a spectator event for the whole family. She expressed thanks to the Clinton County Agricultural Society and the City of Wilmington for helping to make it all happen. She said Ag Society President Scot Gerber agrees with her that the event is “a perfect fit by the for the fairgrounds”, with over 1,200 Jeeps at the event. 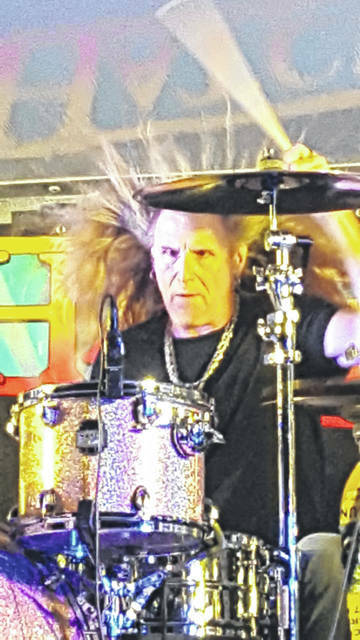 Valentine-Scott added that Molly Hatchet guitarist Bobby Ingram thanked everyone for their hospitality and said they’d “love to come back” to the Wilmington area. 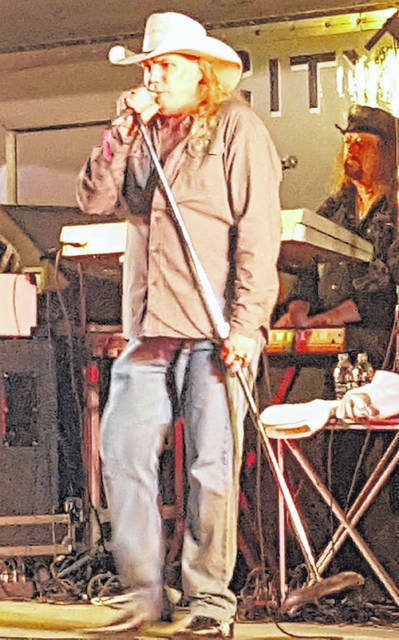 Molly Hatchet performed Saturday night along with Moccasin Creek. The Saturday and Sunday event was preceded by the annual Show & Shine display of Jeeps in downtown Wilmington Friday evening. 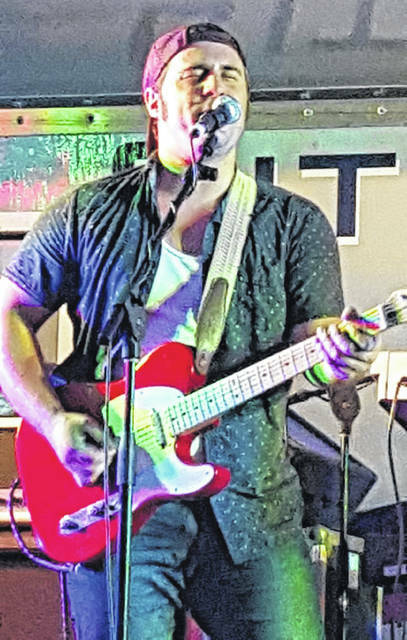 Originally to be held in concert with Main Street Wilmington’s monthly Third Friday Party at the Mural, the organization cancelled the entire event just after 3 p.m. Friday due to a concern of possible stormy weather. Minutes later the city announced that the Jeeps would still be welcome to park downtown, and the Show & Shine went on as scheduled during what turned out to be a pleasant evening weather-wise.